In a long tradition of writing on architecture and urbanism, practitioners from Vitruvius to Corbusier sought to define fundamental principles that linked questions of meaning and social purpose to the design of physical form. 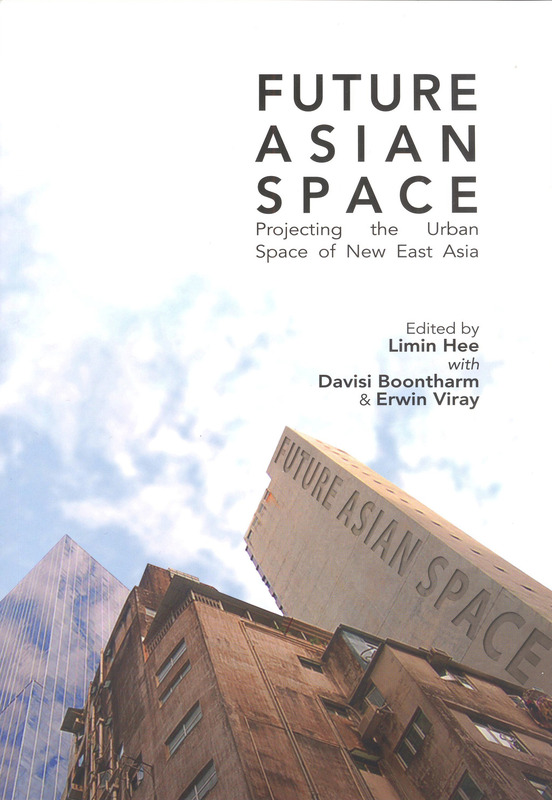 In the contemporary extension of the tradition, one field of literary practice is exemplified by the editors and contributors to Future Asian Space: Projecting the Urban Space of New East Asia. The editors, Limin Hee, Davisi Boontharm and Erwin Viray, have assembled Future Urban Space as an attempt to identify, conceptualize and theorize the social world in order to discern the role (and often explicit importance) of the fields of architecture, urban design and planning in (re)shaping space and society through a dialectic of theory and practice. Across the broader tradition, the figure of the practitioner as a rational “technician of general ideas” and a type of revolutionary who proposes that “… the new city should be a model of radically different social practices” is the implied audience—the object of study and the agent of transformation engaged in a process of self-reflexive subject making. I argue that the practitioner–researcher seeking the “appropriate” design and planning of cities (e.g. chapters 5, 7, 9 and 10) through the assessment, generalization and solution of urban problems represents a specter of modernism that underpins the concepts of temporality, legibility and praxis at the heart of the volume reviewed here. In the first section, three essays provide an understanding of the temporality of “newness” and Asian geo-cultural particularity of the spaces in question. In the essay “Exporting China,” Lawrence Liauw cites McKinsey and others who describe the urban dynamism of what is frequently referred to as ‘a new Asian century,’ in order to build a contrast between his typology of Chinese urbanisms and the pathology of “megacities” (p. 11). Although this essay makes a needed contribution in highlighting the importance of the export and globalization of China’s “urban ideology”, his description of the practices is taken out of the context of China’s Going Out Policy and the linkage between the cited city building projects and resource extraction and territorial concessions in Africa, Asia and Latin America. In contrast, C.J.W.-L. Wee’s chapter links careful examination of art-curatorial discourses on Asia to a critique of concepts of “modernity.” By foregrounding postcolonial temporalities of Western modernity in the positing of a “critical neo-modernity”, Wee highlights the inherent contradictions in the program of seeking a teleologically progressive “new” Asian modernity. Wee’s essay, though brief, illustrates a potential model for self-critical urban practice. Sung Hong Kim’s essay on the layered historic transformation of public space in South Korea questions apparent contradictions between various concepts of progress and their constructed opposites. However, in the demonstration of an effective historical reading of state-society relationships in the shaping of South Korea’s cultural values and norms of public space, Kim’s attempt to show how these tensions have shaped a general disregard for a public dimension in the urban fabric yields a perplexing diagrammatic understanding of urban morphology its relationship to an under-articulated conception of “public space”. The second section takes up the question of the spatial legibility of Asian cultural specificity. The section presents the most coherent intervention toward the program of projecting new Asian space. The chapters accomplish this by utilizing well-defined analytical frameworks and narrowly defined urban research problems. Marshaling an impressive array of data, Thomas Hutton provides a substantive analysis of the cultural economy of Singapore, with a focus on the Telok Ayer/Chinatown district in the context of national political-economic transformations and evolving development policy discourses. His study emphasizes the historical contingency of the case and points out the inherent complexities of attempting to pursue a Telok Ayer model as an economic growth strategy. Together, the chapters by Davisi Boontharm and Limin Hee and Nanxi Su argue the importance of “bottom-up” cultural production in processes of urban redevelopment that can benefit from architectural heritage and reuse. Although the question of a broader “Asia-ness” is not addressed in any of these cases, the question of legibility as requisite for critical urbanism is highlighted and affirmed. In the final section, various efforts at investigating spatial practices and cultural meaning are assembled. Ah Eng Lai’s ethnography of public housing estates in Singapore demonstrates the importance of researching everyday spatial practices in order to inform policy. Lilian Chee’s examination of efforts to expand and deepen the conceptualization of “sites” through a studio program at the National University of Singapore provides reflective commentary on the importance of historical narrativity in shaping subsequent interventions. However, the presentation of student work from the studio underlines the importance of the questions of political process and social inclusion broached by Lai’s ethnography. Darko Radović presents a deeply personal exploration of the urbanism of “smallness” in Tokyo in order to argue the significance of this “cultural asset” in the context of environmental crisis and scarcity. However, we are not provided any clear understanding of the relationship of smallness to obviating crisis in the past, present or future. Hidetoshi Ohno’s final chapter in the section presents a design–polemic to address compound problems of population decreases and economic and environmental resources in Tokyo. The chapter appears almost as a totem to actual design practice in the context of the Future Asian Space program. In it, Ohno makes explicit questions of social and environmental sustainability with metrics of demographic transitions, CO2 emissions, economic impacts of fire hazards and other natural disasters. The editors argue that such “visions are needed as they propose [a] certain directedness and practical ideas … [for] finding ways of building sustainable futures…” (p. xxv). In the context of the volume, the editors and contributors are successful in highlighting how such proposals must also be welded to the diverse lessons and research methodologies presented, and that—indeed—“foolproof conclusions… [and] normative response[s]” (p. xxvi) cannot possibly be expected from such efforts. The editors walk a fine line between a normative criticality seeking a culturally plural ‘sustainable future’ and a post-critical “projective practice.”  Balancing these disparate approaches, the editors have done a laudable job in presenting a broad range of research that unsettles a unitary conception of Asian cities and questions our ways of knowing them. Rabinow, P. 1989. French Modern: Norms and Forms of the Social Environment. Cambridge: MIT Press, p. 9. Holston, J. 1989. The Modernist City: An Anthropological Critique of Brasilia. Chicago: University of Chicago Press, p.4. Somol, R. and S. Whiting. 2002. Notes Around the Doppler Effect and Other Moods of Modernism. Perspecta 33: 72-77. Jia-Ching Chen is a PhD candidate in City & Regional Planning at the University of California, Berkeley. His research on environmentalization and green development in China brings together the fields of political ecology, urban studies, planning, and critical industrial ecology.